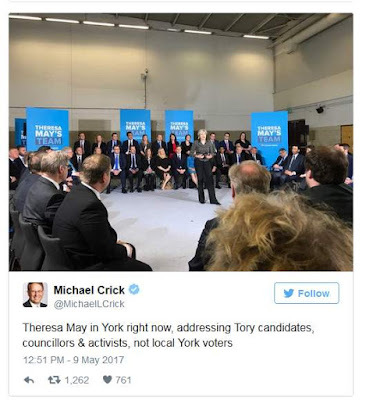 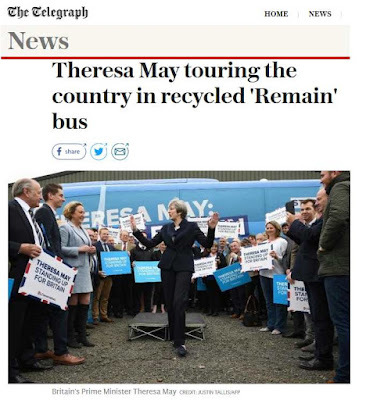 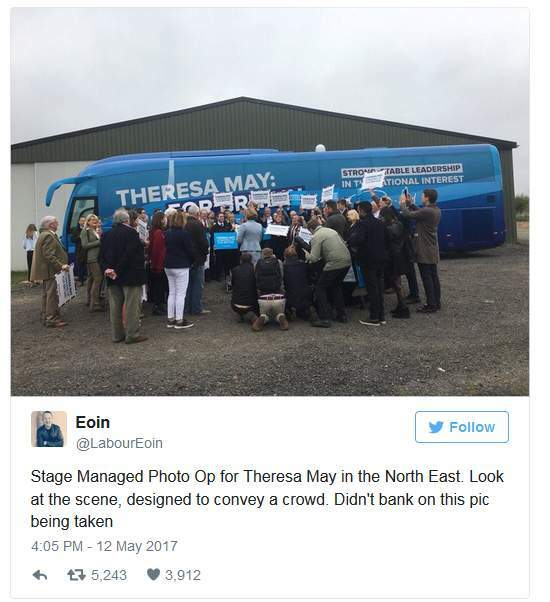 As you will be aware, Theresa May was far too busy meeting with ordinary voters to waste time debating with Jeremy Corbyn. I am sure people would have been very sympathetic to this argument, as we all know that Theresa is nothing if not a woman of the people. 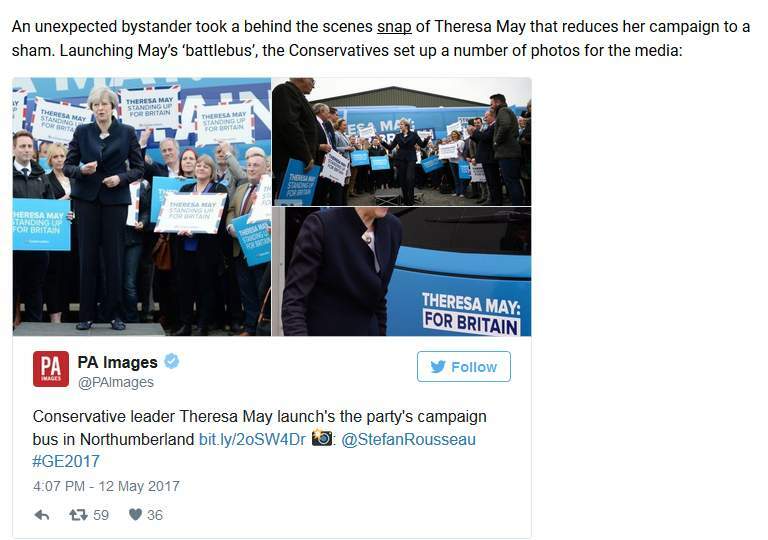 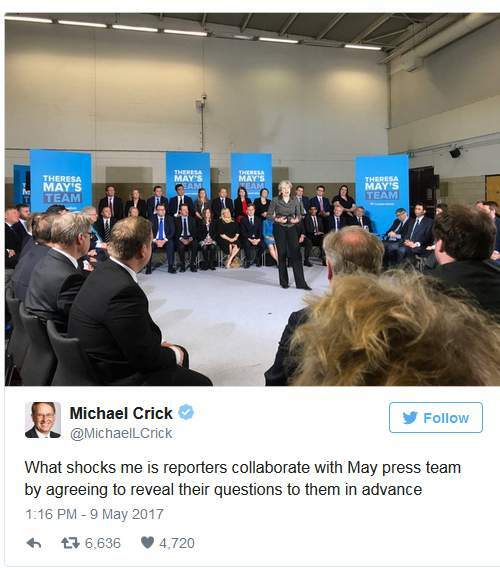 It is therefore puzzling that she appears to have confined her appearances to staged photo shots with fellow party workers in empty hangars or factories from which the workers have been removed or press conferences at which the journalists seem to have been prevented from asking questions, unless they are submitted in advance! 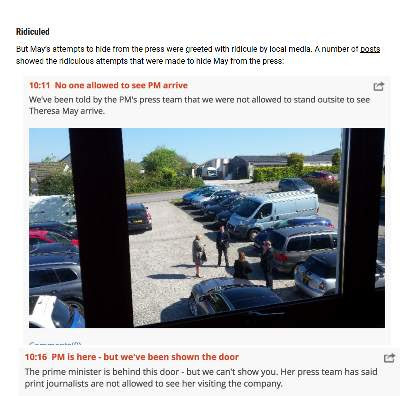 Indeed in Cornwall the Tory Party took to locking the journalists up so that they couldn’t ask questions! 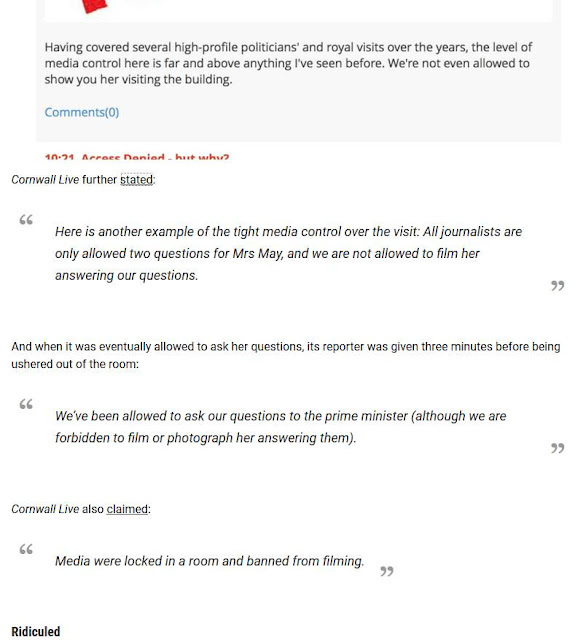 I am sure though that all this has been a misunderstanding and that her ladyship was genuinely ignorant of the fact that Party managers had been preventing her from meeting the hoi polloi!